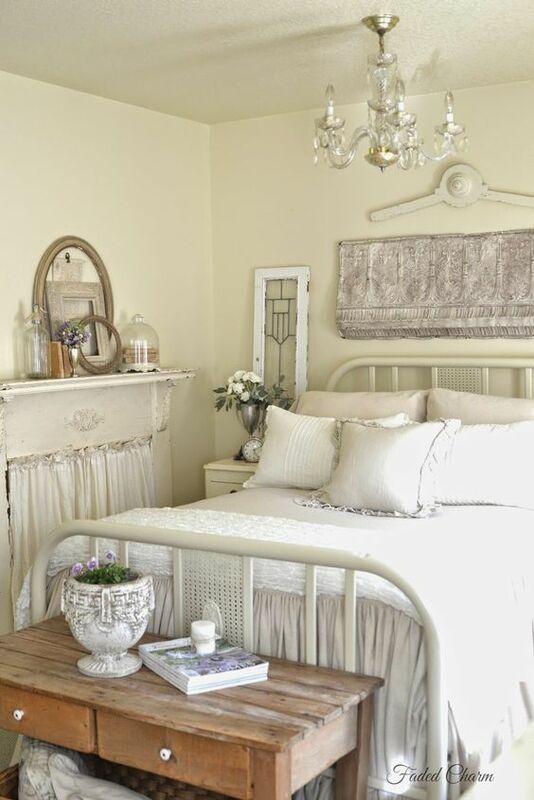 French country style is chic, refined, adorable and very popular, it’s something like shabby chic, rustic, refined vintage and chic – all of that in one. 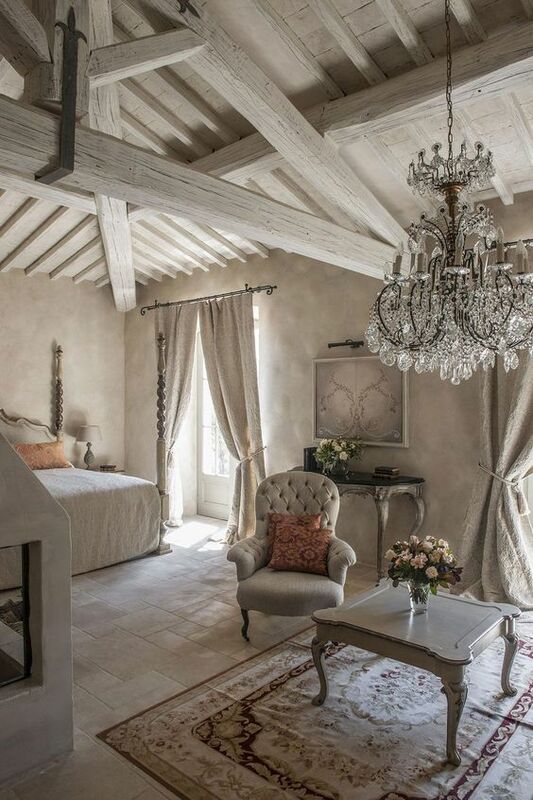 Such style is ideal for feminine spaces but it can be rather universal, too. 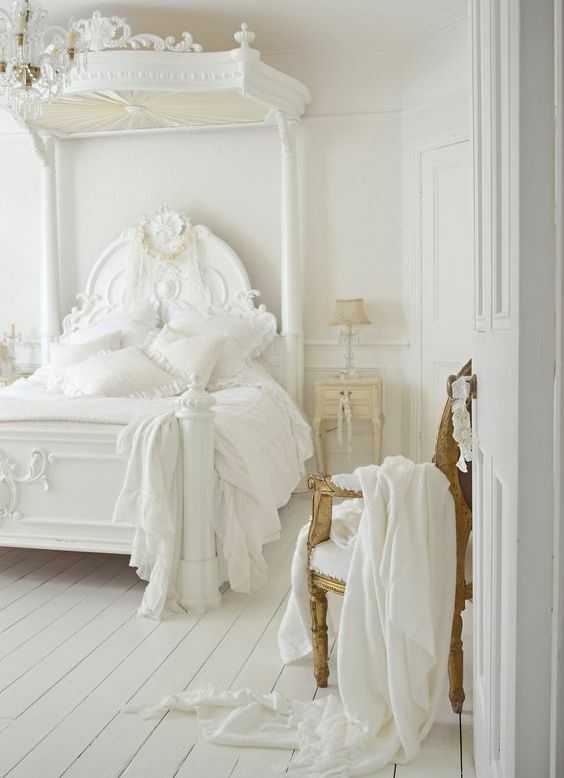 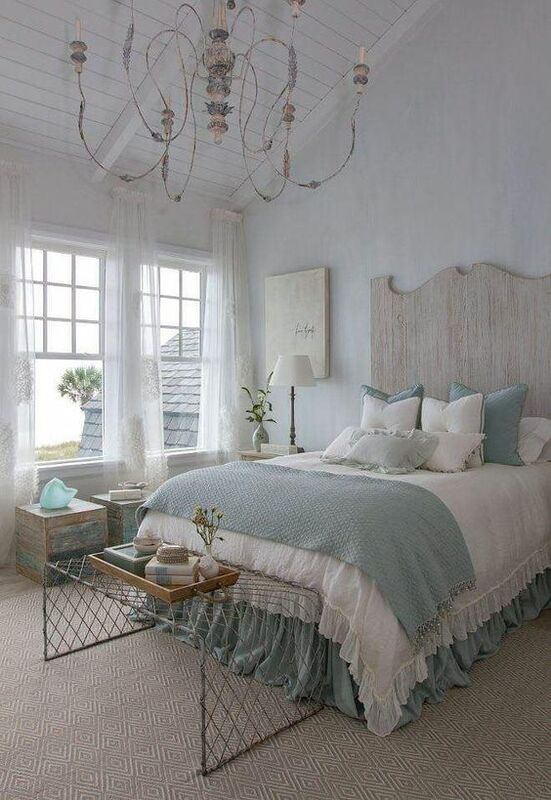 Today I’d like to share some cool ideas to decorate a bedroom in this effortless yet very chic style. 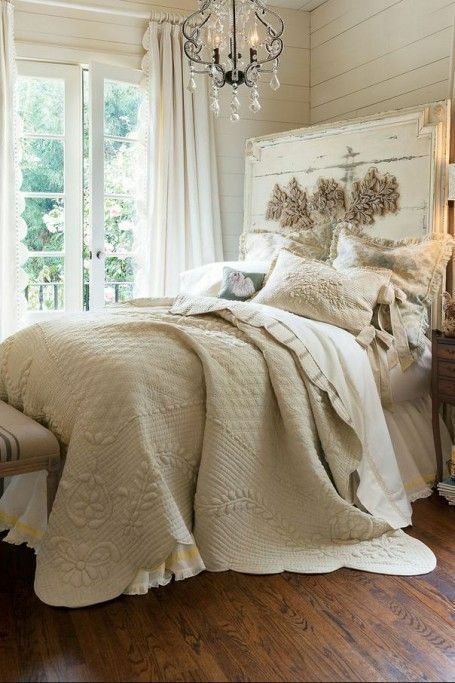 French country style is all about neutrals and creamy tones, they are welcoming, cozy and soft. 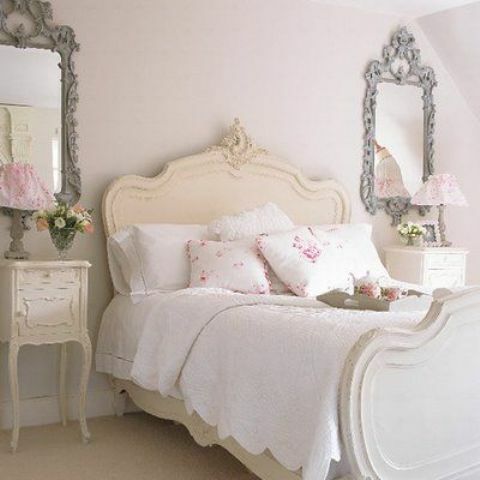 Light grey, taupe, beige, white, cream, buttermilk, pastels are right what you need to create such a space. 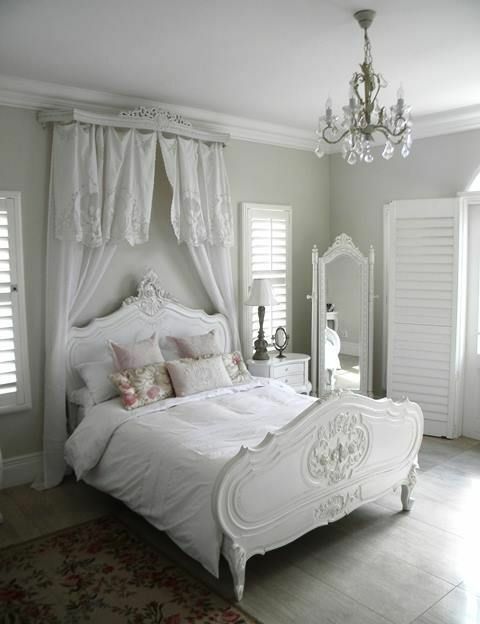 This style doesn’t suppose rocking bold shades, so you should give interest to the space in some other way. 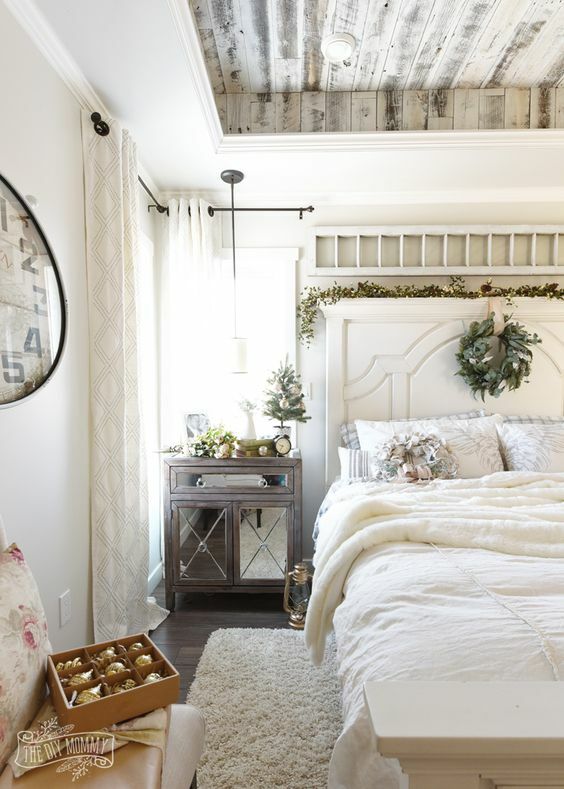 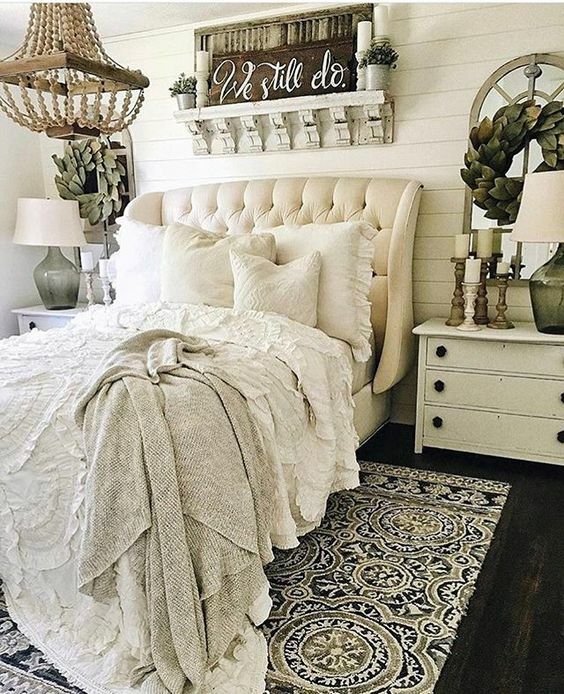 A great idea is playing with textures: use wood – whitewashed and just light-colored, stone, wicker and lots of different textiles – curtains, bedspreads, bedding, rugs and furniture covers. 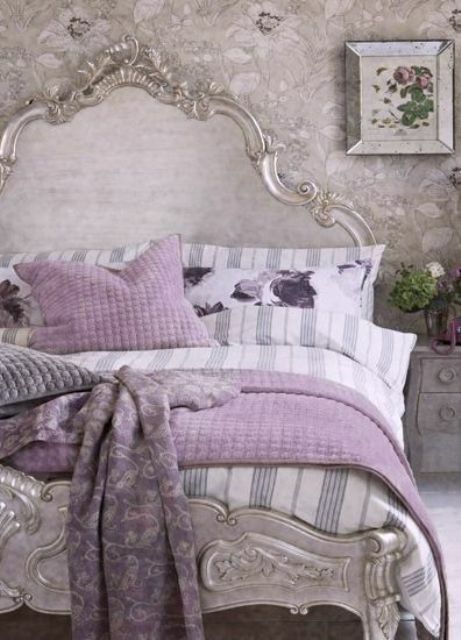 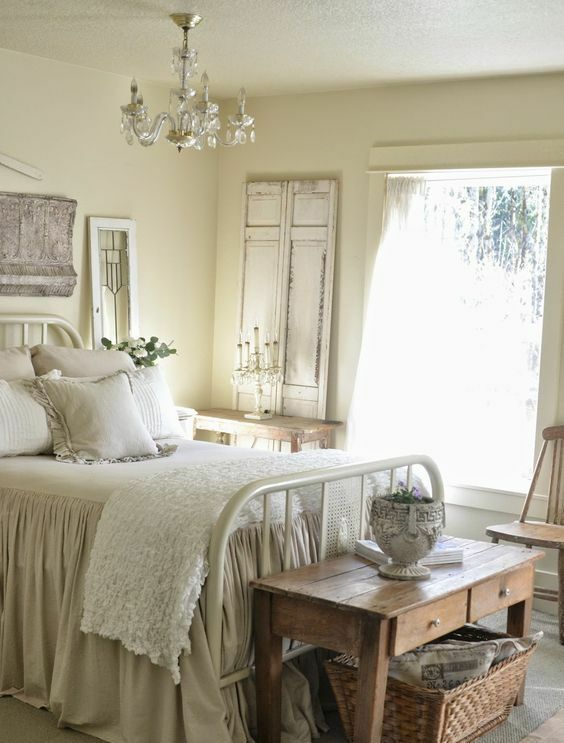 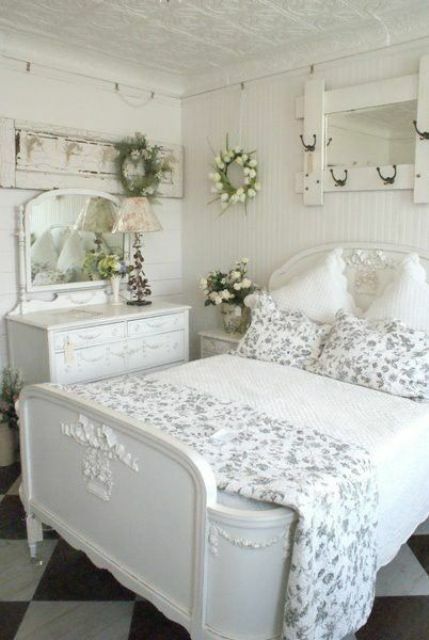 The furniture should be shabby chic or vintage, opt for a metal frame or a wooden bed with carved legs. 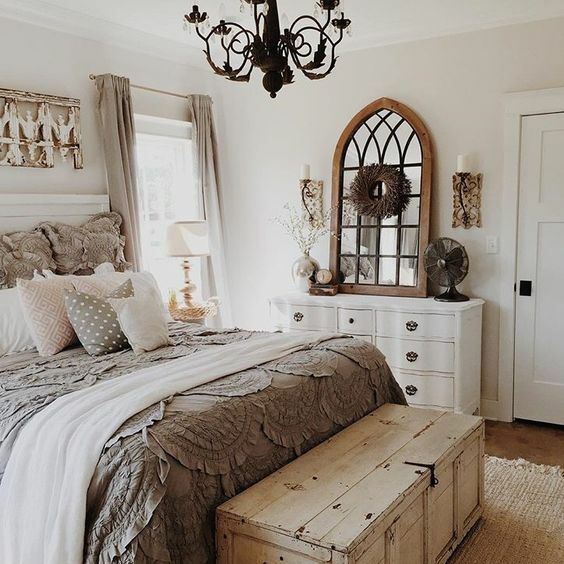 Choose reclaimed wooden dressers and chests, rustic and shabby chic touches are right what you need, and you can mix some different pieces of rustic and shabby chic style for a cool look. 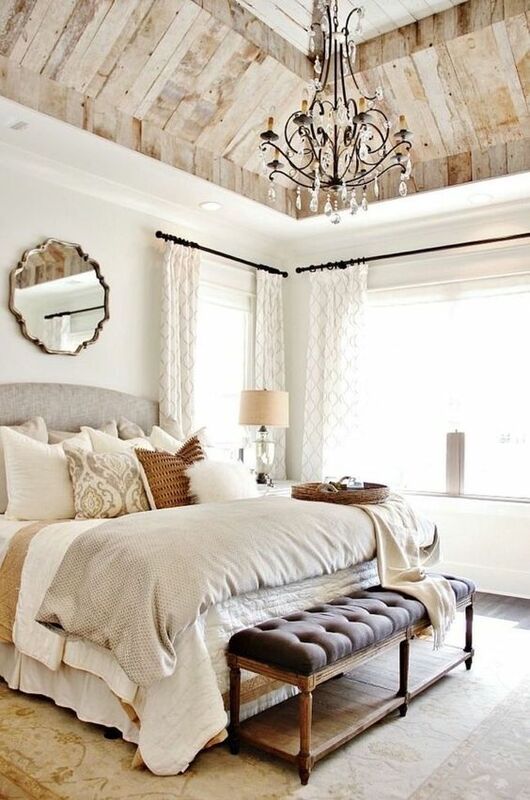 don’t forget about lamps and lights! 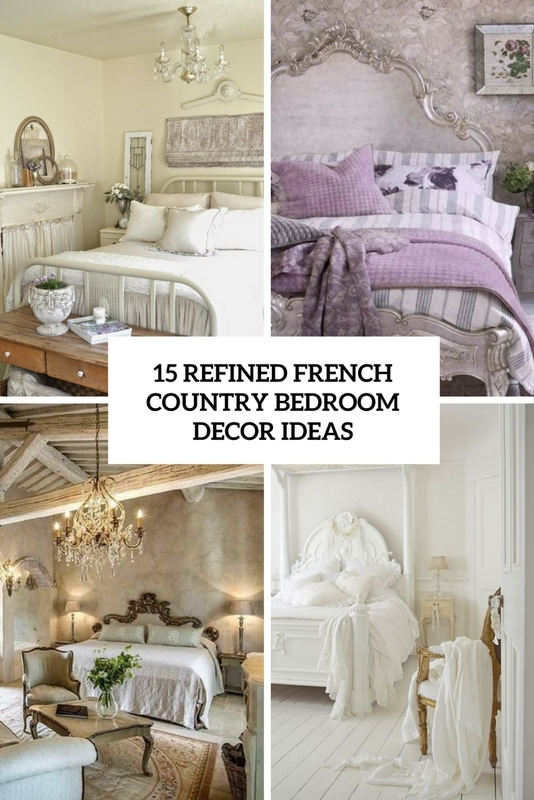 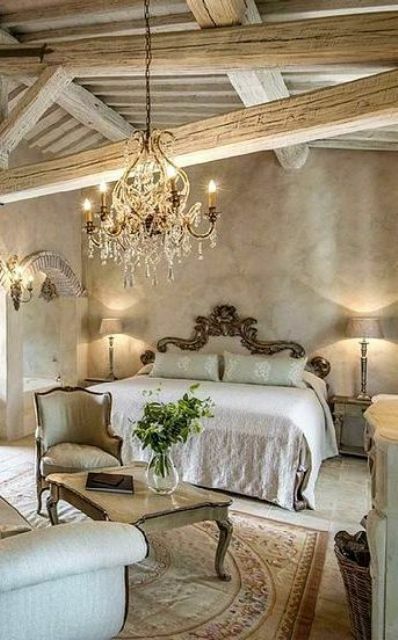 A refined vintage chandelier is a must for such a bedroom cause it screams French chic!